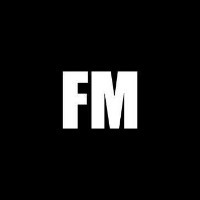 Since 2006 - influential and trusted UK-based music blog FM famemagazine.co.uk - is relentlessly pursuing, discovering and supporting best new music and unsigned artists. This is an area where you can submit your demos for our consideration. - How to Submit - You can upload your song(s) using the submission button on the right and please don't forget to add your contact details for us to contact you if we like what we hear! - Message - When sending over your music, it's always good to add some more information about yourself and/or the release. So drop us a short message along with your submission! We do listen to everything that is submitted but, due to time constraints, unfortunately we cannot provide everyone with feedback. We will however, contact you directly if we are interested in discussing your submissions and learning more about you. Looking forward to hearing your submissions! This information will not be used for any marketing or third party use. Should you wish to upload further files or submit to other people within the platform, you will be required to enter your details on each occasion as we will not be able to save this data for later use. To simplify the process, create an account. Once you've submitted files to the Project, you will no longer be able to see your submission or communicate with the Project Owner through the system. If you'd like to keep up communication, register here.